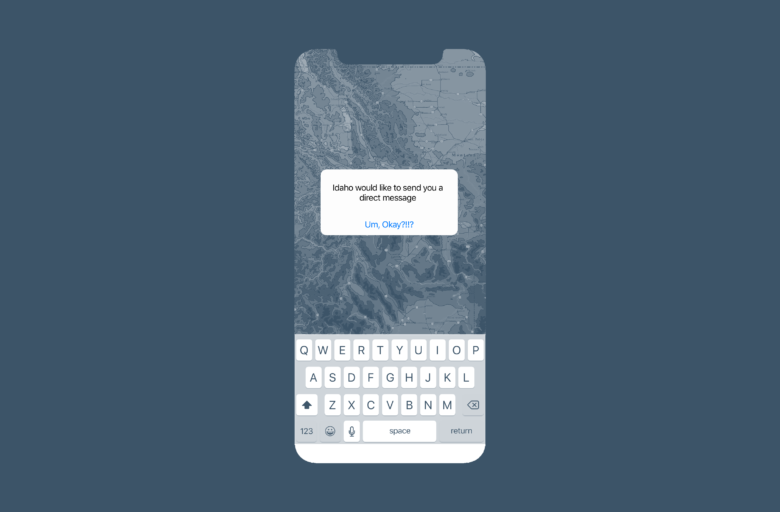 According to the dictionary definition, communicating involves sharing or exchanging information, news, or ideas while marketing entails the action or business of promoting and selling products or services, including advertising. 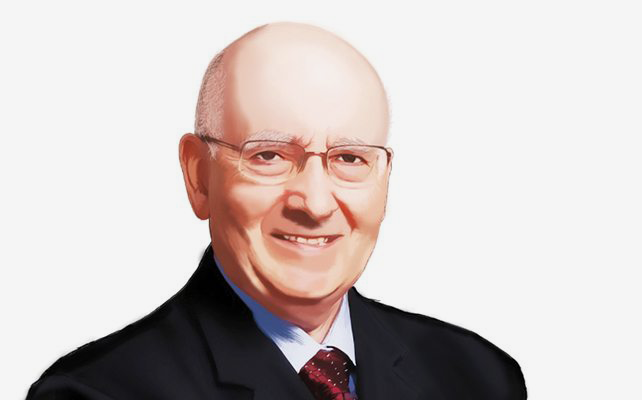 Presumably the least creepy illustration of Philip Kotler available on the internet. While still vague, Kotler’s focus on intent and purpose makes sense to me: More than simply communicate, successful marketing provides a satisfying experience, shows an understanding of the user’s needs and wants, and solves problems. Marketing sure sounds a lot like experience design to me. “Experience” is the key word here. The term “consumer-grade” is often used in UX and service design to indicate a level of approachability for the general public. An iPhone, for instance, is consumer-grade while the check-in system that airline desk attendants endlessly clack away on is quite obviously not. Let’s stick with municipalities to consider a hypothetical situation. Say I’m a relatively hip young family man in Idaho Falls, Idaho who wants to purchase an old abandoned brick building and turn it into a single-family home. To even understand if this is a possibility, I need to inquire with the city government regarding the difficulties of rezoning a property from commercial to residential. This is the need. Note that Idaho Falls is not the town from the above RFP, and I don’t mean to pick on Idaho Falls at all. The state of their municipal government marketing and communications is on-par with any similar city nation-wide. It’s just a random town I chose. To find the information I need, I Google “Idaho Falls Rezoning Process.” The top hit is a link to a PDF from idahofallsidaho.gov entitled “Rezoning Your Property”—an exercise in whiskey-neat communication. Its largely unbranded and minimally formatted text is the aesthetic embodiment of “exchanging information” and nothing more. 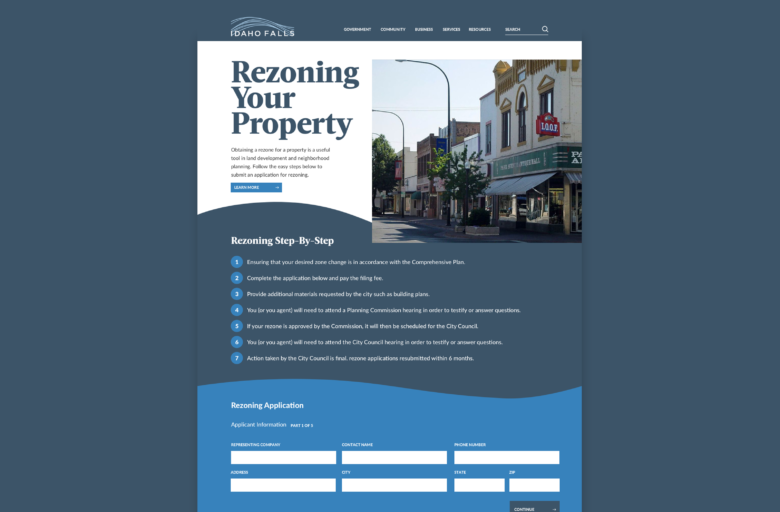 With a little more searching, I found the application for rezoning, which is a essentially a series of forms to be printed and returned to the physical office of the Planning Department located in City Hall. Obviously, there is more nuance to it than that, but the experience of finding the necessary information and steps to apply for rezoning would be easy to improve. If we take Mr. Kotler at his word, the opportunity for Idaho Falls is to move beyond simply communicating information and to provide an enjoyable and pleasing path to solving problems. By incorporating design, we could create a consumer-grade experience that goes a step further by actually integrating tools into the digital presence—actionable steps towards the solution. Here’s one way we might approach this problem: Make the content in the first PDF more approachable and clear by using a more human tone of voice and providing some basic hierarchy. 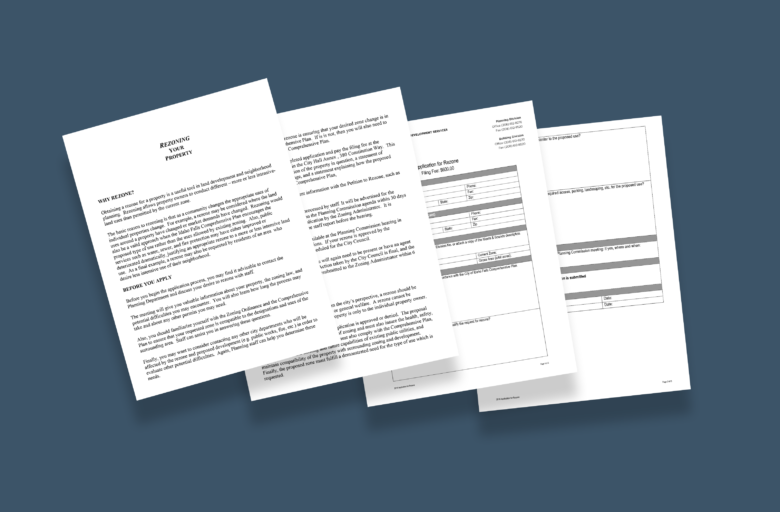 Then integrate the form content from the second PDF into a simple, usable digital form to streamline the information-gathering process. By simply linking these forms to the city database and automating some tasks, this whole process could turn around to meet today’s standards for information-processing. I set the clock for ten minutes to mock-up a quick example of how those PDFs might manifest themselves in a more contemporary application below. While this is just a quick sketch, we’ve taken the user a long way towards the goal of an open-concept repurposed industrial space. With the addition of design thinking, we could easily begin to imagine how we might go well beyond the rezoning application experience and redesign city council meetings; develop new, interactive methods for collecting community feedback; or overhaul the policies that dictate the approval process in the first place. When the exchange of communication incorporates the understanding of the audiences’ needs from the marketing perspective and uses the tools of design, everyone wins. This is where information, purpose, and brand move beyond their individual definitions and become an experience that’s actionable, useful, and enjoyable. While this kind of approach is pretty commonplace in the start-up, tech, and commercial worlds, much of our infrastructure and daily interactions lag behind. Service industries are starting to catch up with companies like Oscar, Compass, Justworks, and Acorns leading the way. Users expecting consumer-grade experiences need more than just communication. And around the world are boundless opportunities to create more meaningful experiences. If you don’t find the opportunity, someone else will.